The Echelon bibs are treated with two technologies: Coldblack® and 3XDRY®, making them an excellent option for performance-focused riding. 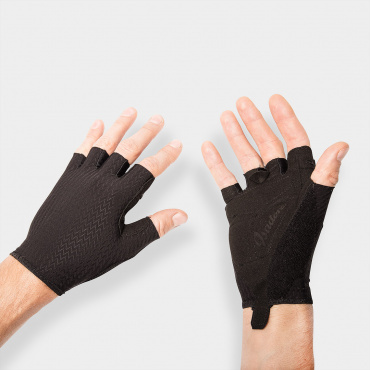 Coldblack® technology protects from UV radiation and disperses heat on hot days. 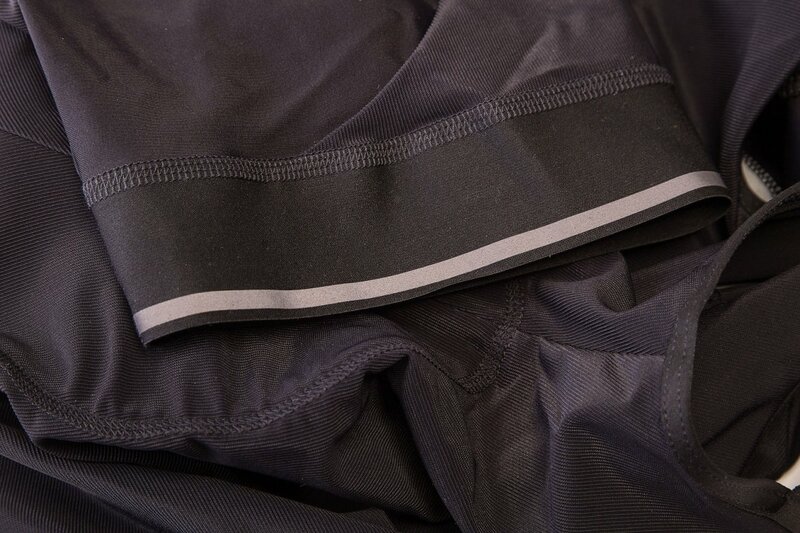 The bibs are also faster in absorbing and transferring sweat than other textiles thanks to 3XDRY® treatment. Also the front material is surprising (structured feel, not absolutely smooth / air tight); these bibs are actually fitting very comfortably. You don't feel them anywhere; The chamois is also nice and tight; 0 complaints! I'm 191cm and bought a L, fits perfectly! Would buy this shorts again. They feal great, actually you don't feel enything and that's the point. Even after riding for 5 and more hours - even climbing the Stelvio - they are comfortable. I've been cycling since the late 80's and through the years tried countless of different bicycle shorts, in my quest for "the perfect pair" ... But the search is over now. 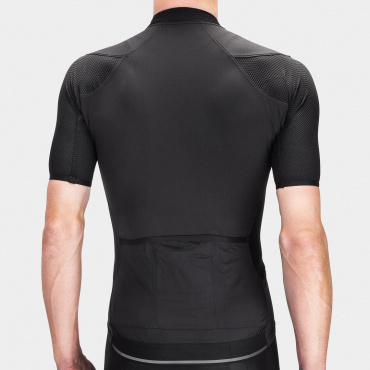 The best BIB shorts I've tried are the Isadore Echelon BIB shorts. They fit so perfect that you feel "naked" while giving you all the support and comfort you need. Cool when it's warm and lovely neutral in colour and design. A true classic is born. I bought a pair of these in size S and used them on a multi day ride in a Taiwan, one day including 80kms with over 3000m in climbing. These bibs were perfectly comfortable. Loved them so much a bought a second pair but sized down to XS for a tighter fit (the material is not as compressive as say the Climbers shirts). I’m 168cm and 63kgs. Great service from the Isadore team! In my cycling wardrobe, you can find: Assos, Rapha, Castelli, Santini. But nothing beats my Isadore Echelon. The best Bib I've ever tried. No problems, even after a 190km ride, i felt really comfortable with them on my saddle. Great product. I really like my Echelon bibs. The only thing I could complain is that they are a bit too long (2 to 3 cm). I am 5,8 and wear size M.
By far most comfortable bib short I've used so far! Chamois is super comfortable even on longer rides (150k), Material is breathable and not heating up like other black bib shorts. Size small fits me very well (174cm, 65kg). I can definitely recommend the echelon bib short and will get another one for myself! Fantastisches Produkt! Insbesondere für warme Sommertage. Die perfekteste Bip, die ich je hatte. Sie ist jeden Euro wert. Größe L ist für mich perfekt - Ich messe 187cm bei 74-75kg. So far I did only one 105km ride in these bibs and I felt absolutely no pain or uncomfortable pressure. For me this is quite unusual because above 70-80km for some reason the skin under my right sitting bone pretty often gets irritated. The design is extremely minimalistic, absolutely no signs or anything unnecessary. As the quote says on the box from Dieter Rams, "Good design is as little design as possible". On both leg grips there is a reflective line which adds extra visibility -> safety (even if small, it counts). 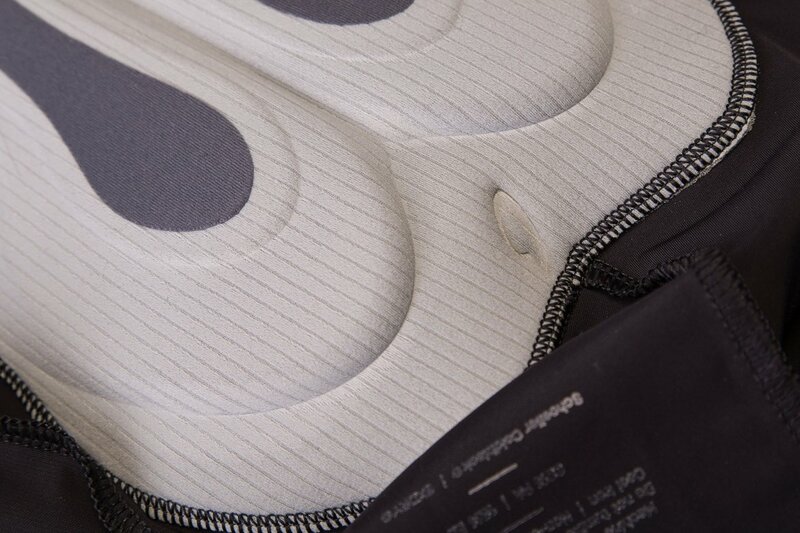 Both the chamois and the fabric are of very high quality. Sizing is an extremely subjective topic so bare this in mind. I personally bought a size S and the fit is perfect for me. I am 185cm tall and around 77kg, leaner build. 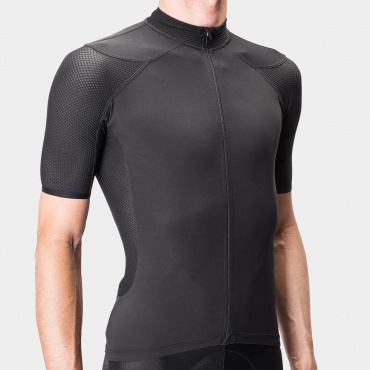 I personally like wearing my cycling clothes as tight as possible without any uncomfortable pressure though. I wanted to get the tightest fit possible without feeling uncomfortable in the bibs. Same for the Echelon jersey. If you are uncertain about your size, I recommend contacting the Isadore staff, they are very helpful. Purchased these bib shorts and I have to say they work really well. Just came back from my third longer ride and I love them. 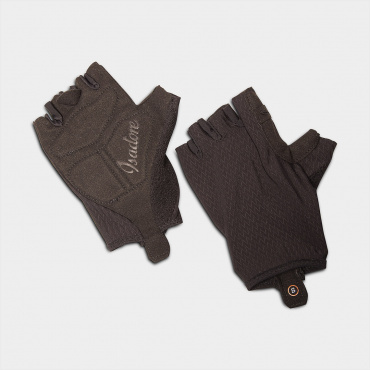 They have a good fit, are comfortable and the chamois works really well. I am 75 kg, 180 cm and ordered the sizing M - perfect! 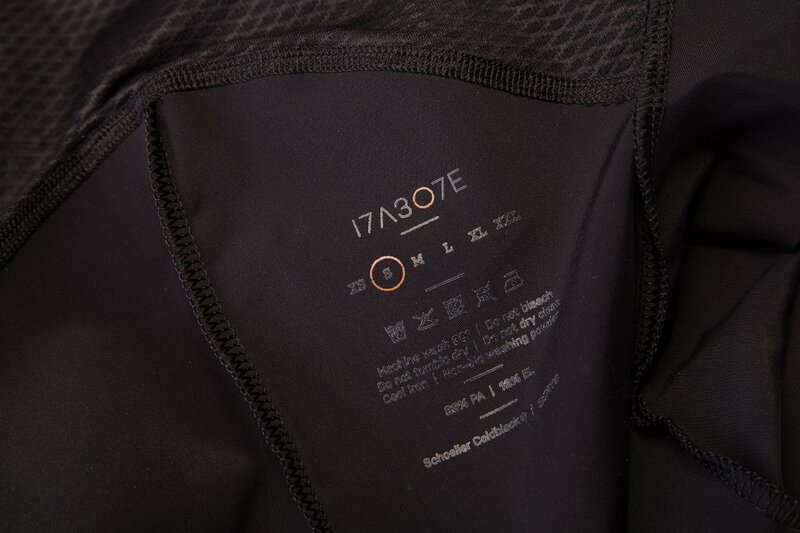 Yes the Echolon Bib shorts have a mininimalist design but thats part of the Echolon philosophy. So I knew what I ordered. Keep it up Isadore!! The chamoix pad is simply not good enough - to much structure and why not stick to the climber chamoix? One of my frinds bought a pair and he last only 20 minuttes in these. I can ride with them but they are not my favorits. Let me begin by saying that I love Isadore and everything for which the brand, and its founders, stand. My previous purchases had all been simply outstanding and I wanted to give their top-of-the-line (supposedly) shorts, a try. Unlike their other shorts, these have only straps in the back for a minimalist design and feel. They've allegedly upgraded the chamois and the fabric from both their climber's bibs and their standard shorts. Whilst their standard shorts have a just-not-there sort of feel (or lack thereof) to them because they're so smooth and the fit is nigh unto perfect, and their climber's shorts are so lightweight and thin they are most definitely cooler than other similar shorts, these, well, these are just ugh. Fit is bad as they bunch around the outside of my hips. I'm constantly pulling them up to adjust the chamois, and the chamois is simply not comfortable. It just doesn't fit right and the padding seems like it's less than their other models. In short, I'm extremely disappointed. If I'd known, I'd just have ordered another pair of their standard shorts. Oh, and FYI, I'm 5'7" and 135 pounds.